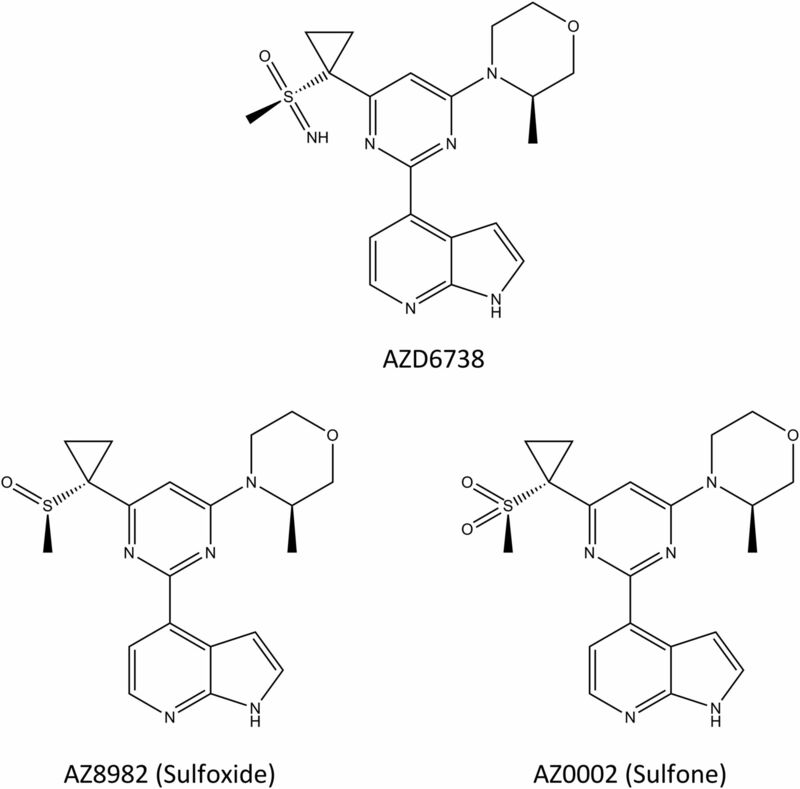 Structures of AZD6738 and its sulfoxide (AZ8982) and sulfone (AZ0002) metabolites. 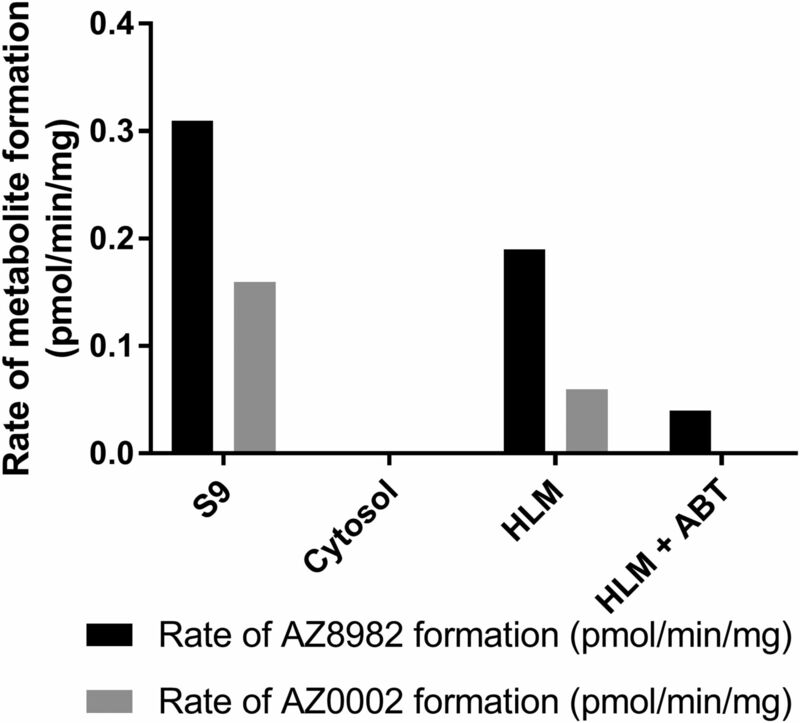 Rate of formation of AZ8982 and AZ0002 in human hepatic S9, cytosol and microsomes. 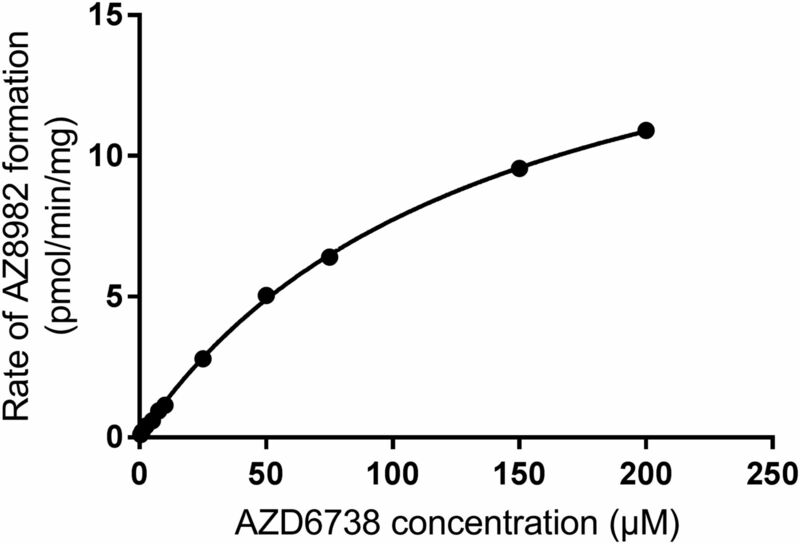 Saturation kinetics for the formation of AZ8982 from AZD6738. CLint of AZD6738 compared with AZ8982 formation (A) and CLint and AZ8982 compared with AZ0002 formation (B) in a panel of 11 recombinant members of the P450 family. 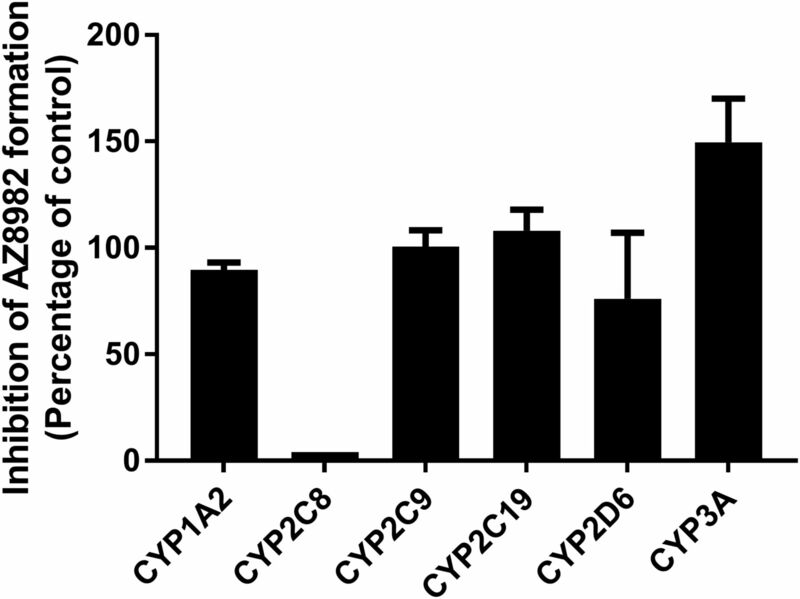 Formation of AZ8982 from AZD6738 in CYP1A2, CYP2C8, CYP2C9, CYP2C19, CYP2D6, and CYP3A4 Silensomes. 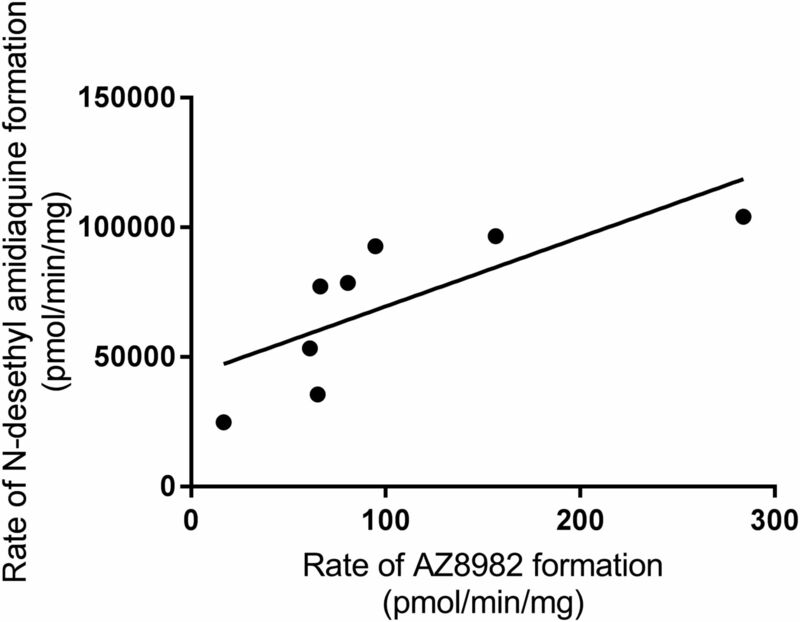 Correlation between rate of AZ8982 formation and CYP2C8 activity as measured by amadiaquine N-de-ethylase activity across a panel of HLM samples from different donors. Proposed mechanism for the oxidative deimination of AZD6738. All activities are reported as picomolar per minute per milligram protein values.